Retreats allow us to relax and let go. Attendees can take time to decompress, or get involved in numerous activities. You don't have to plan anything, we do that for you. There is no pressure at all. We choose our destinations carefully - they are beautiful, luxurious, and inspire relaxation. You'll return home feeling more healthy, balanced, and refreshed with new ways of maintaining peace in your everyday life. Max 15 attendees. Pssst.... You don't need to be an expert in yoga to attend, beginners are welcome! The January 2018 Anguilla trip was an incredible success! 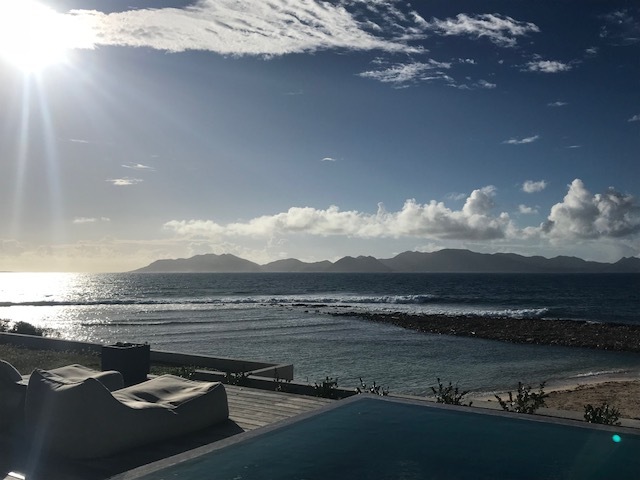 In January 2018, after a Yoga Retreat in Nevis, my friend Amanda Dykann and I traveled to Anguilla, one of the Virgin Islands devastated by Hurricanes Maria and Irma. We toured all 6 primary schools on Anguilla to teach yoga to the children and teachers. We taught Yoga to 200 students in one day - see more pictures on Instagram and Facebook. We raised over $2500 to fund rebuilding of the Anguilla schools.